Venkat Pasupulletti and Brayden MacDonald working with kids from Father Porte Memorial Dene School in Black Lake, Sask. 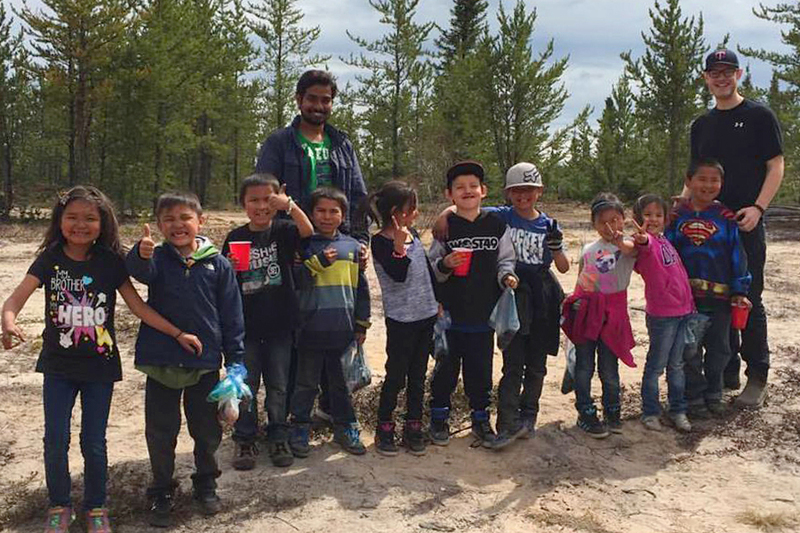 For the past 10 years, University of Saskatchewan students have traveled north each spring to help teach science alongside teachers in Aboriginal community schools. But truth be told, the participants have learned as much as the children they have taught. Student Gen Zha, originally from China, spent time in Île-à-la Cross this year as part of the Science Ambassadors program. 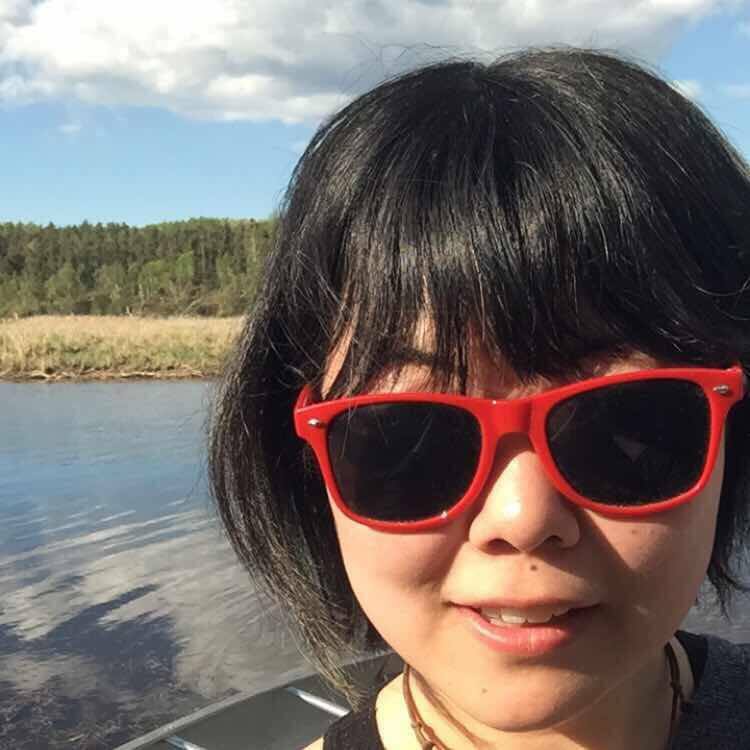 Originally from China, Zha has lived in Saskatoon for 11 years, earning a Bachelor of Science at the U of S before entering the College of Law. She first went north—way north, that is—two years ago to Stony Rapids, some 82 kilometres south of the Northwest Territories. She loved it so much she reapplied to the program again this year, spending the month of May helping to inspire a love of science at Rossignol Community School in Île-à-la Cross. “The students were awesome,” said Zha. “They would say ‘Hi Science Ladies!’ and talk about the experiments we did and they were so excited. We did an activity with volcanoes with baking soda and vinegar and afterwards they asked about the ingredients so that they could do it at home to show it to their parents and brothers and sisters. Zha was one of two U of S students in Île-à-la Cross and one of a record 24 in total who took part in this year’s program, living in 12 northern communities, working with 160 teachers and educational assistants, and reaching 2,430 children. In all, 104 U of S students have now been placed in 15 communities in Saskatchewan, Manitoba and Alberta over the past decade, with the program’s success marked at a celebration on August 18 at the Gordon Oakes Red Bear Student Centre. The U of S program pairs senior university STEM (science, technology, engineering and mathematics) students with Aboriginal community schools to support creative and culturally relevant science teaching. The program fits perfectly with the university’s stated priority of promoting Aboriginal achievement and implementing the Truth and Reconciliation report calls to action for post-secondary institutions. Having co-ordinated the program for the past five years, Bonny is proud to see it continue to grow and flourish.